Witch: 8% scary. 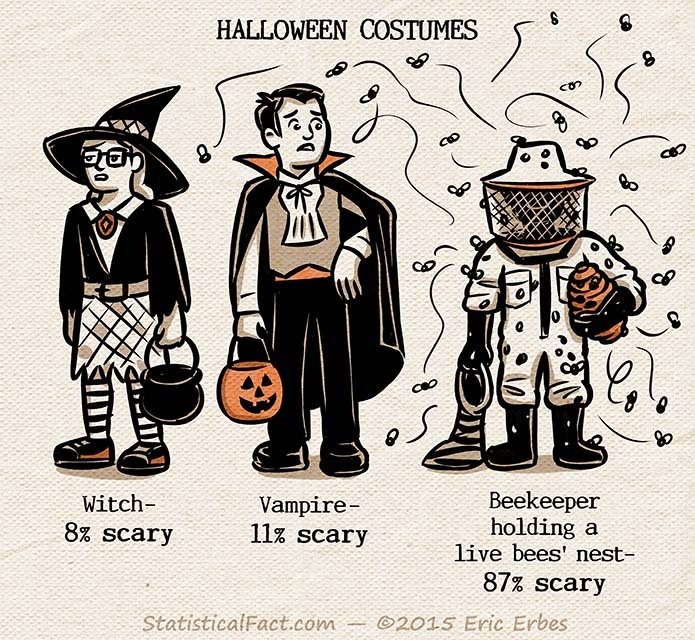 Vampire: 11% scary. Beekeeper holding a live bees’ nest: 87% scary.